We have been following the exquisite work of artist Rachel Dein online, and were thrilled when she agreed to collaborate with us on a series of bespoke artworks depicting the changing seasons. Rachel’s botanical castings reflect her desire to capture the ephemeral. They track the progress of the seasons, marking the plants at the moment when they are most alive. The plants tell a story of a fleeting moment of glory before they fade away and die; their texture, pattern and delicacy, rendered rich in the plaster casting. 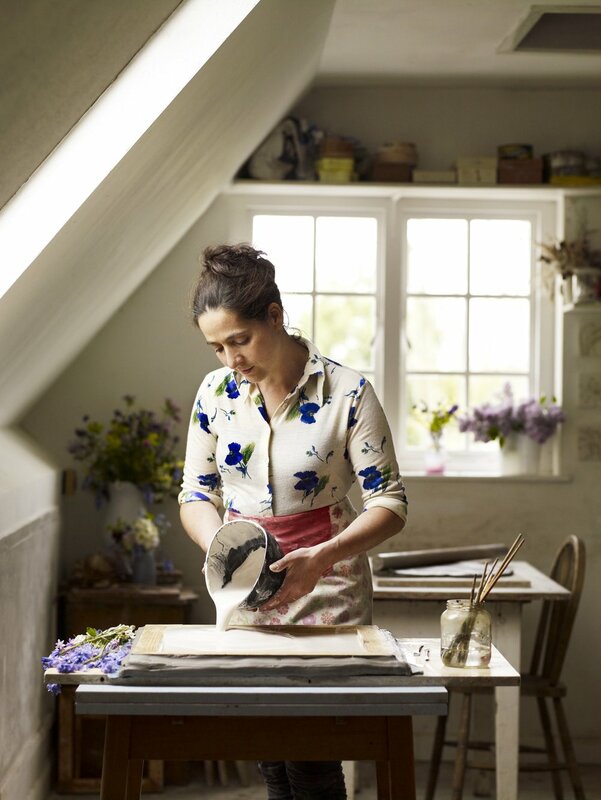 Rachel has been showing her work for the past five years at the RHS Chelsea Flower Show. She’s currently working on a collection for the National Trust’s Hidcote Manor Gardens, casting the plants from the garden throughout the year. Recent commissions have been for Raymond Blanc’s restaurant Jardin Blanc, Huishan Zhang’s Mayfair boutique and Ollie Dabbous and Hedonism Wines’ new restaurant Hide, in Piccadilly.